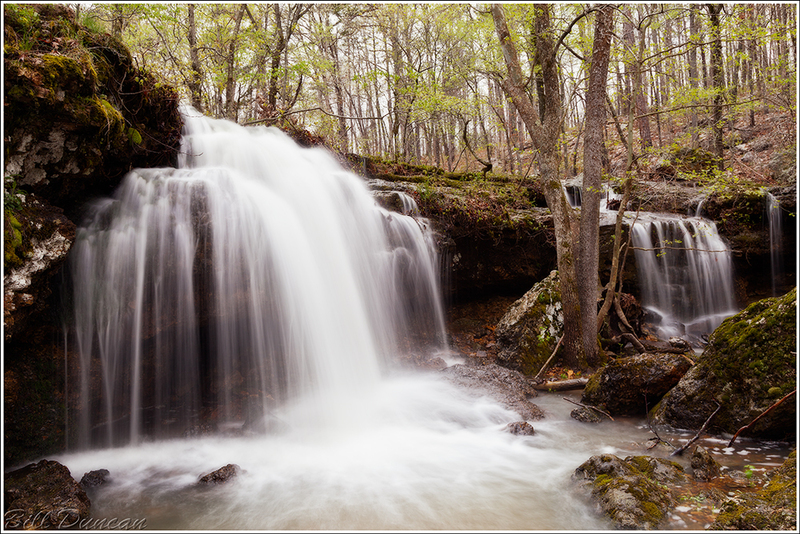 In a land of dolomite and granite, the chert-based rocks of Cowards Hollow Natural Area really stand out to the experienced Ozark traveler. I first read about Cowards Hollow more than five years ago and had two previous and unsuccessful attempts at finding it. 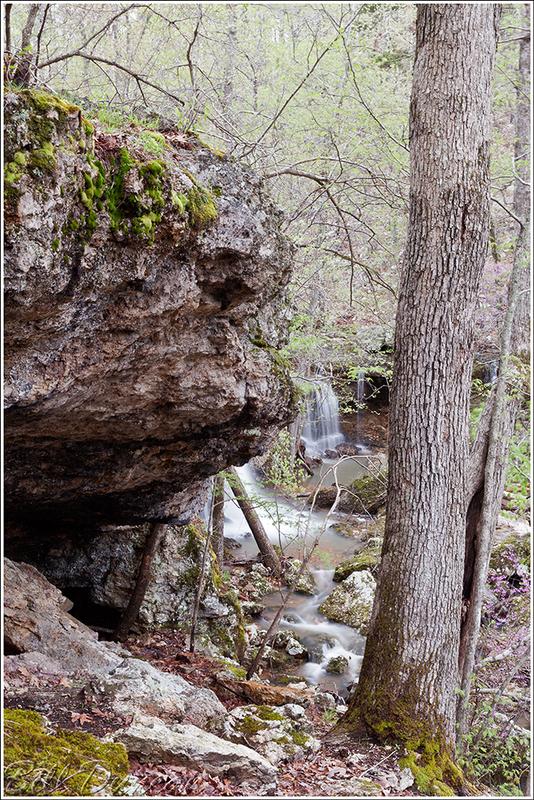 Recently I had acquired some resources that helped me get a firm idea where to look and during our Big Spring break this spring Sarah and I went out to finally find it. Literally within minutes of parking the car and heading down the trail the sky opened up and began raining. Half-soaked, I retreated to the car and decided to try again later. It would be about 18 hours and near five inches of rain later before I got back there the next morning. I knew the area would be full of water and that the efforts would be worthwhile. Here is the first look upon reaching the hollow named for the refuge it provided civil war draft dodgers. I sure couldn’t blame anyone for preferring this place over the hell that awaited them on the battlefield or the chaos that was most of Missouri during that time. At only 56 acres, this relatively small NA has so much to offer. Seeps, a plant-fen community, a series of shut-ins, a shelter cave and lots of nooks and crannies to discover what plants and animals are waiting where are plenty to keep one busy for a full day’s visit. 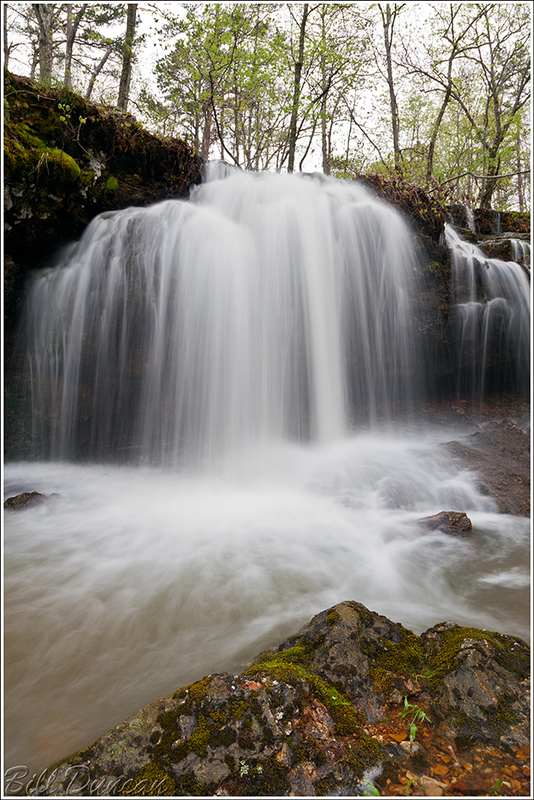 That’s not to mention these fantastic waterfalls! I did not have too much time to spend here, unfortunately. In the three hours I visited, the falls took much of my attention. The birds and plants were screaming for my attention and I regret I could not give them more. 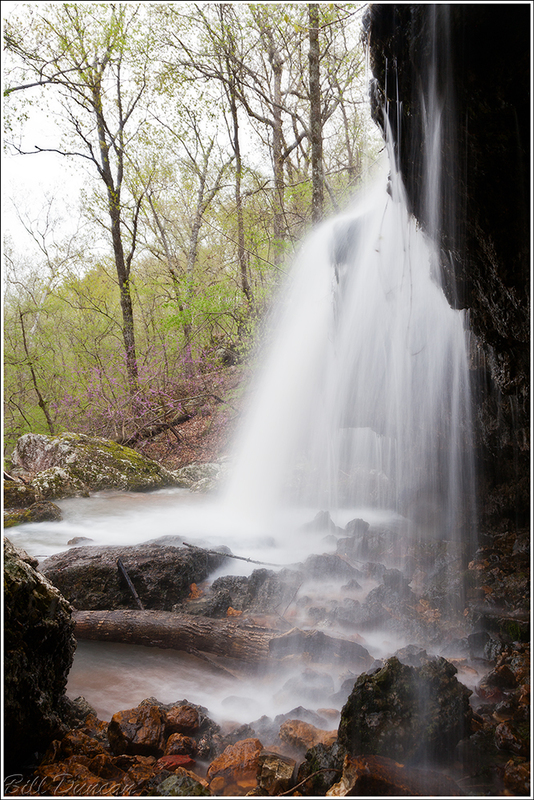 The Waterthrush songs were constantly ringing off the chert walls of the hollow and were pretty much the only thing I could hear over the roaring water. Once again, mother nature did not let me down. A perfect overcast morning allowed for great exposure settings for running water and allowed for that glorious limon-colored new spring green from mosses and trees to pop. Anything lacking from these images is my own fault completely. Well, that was Cowards Hollow. 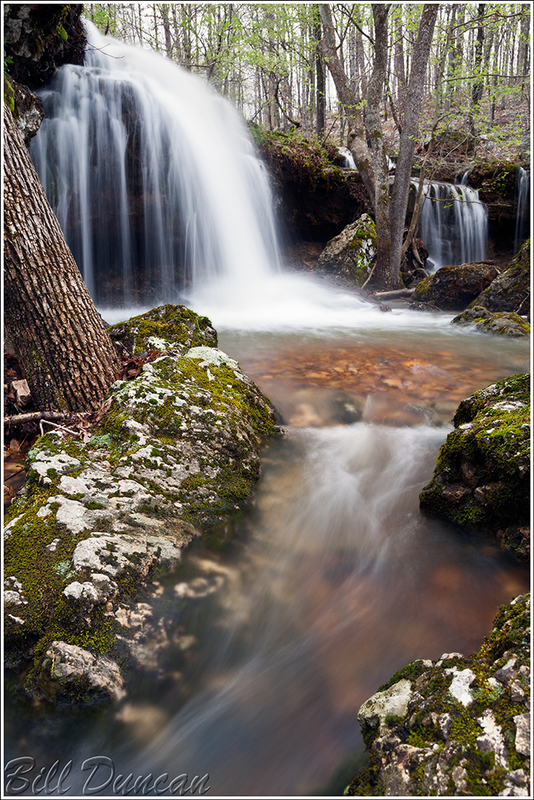 It is only about a 30 minute drive from Big Spring and is so secluded it seems to be a day’s travel from any sign of civilization. I wish I had the opportunity to explore this area more, but the vegetation was not yet doing much during this April visit. I can’t wait to make another visit in the near future.